These systems incorporate a reciprocating engine to turn a generator. Recoverable heat can be used from both the jacket water (engine cooling loop) and the exhaust heat. The packages can be skid mounted for ease of installation. These systems incorporate a small turbine to turn a generator. Recoverable heat can be used from the exhaust heat. The packages come assembled for ease of installation and can be grouped to provide larger output capabilities. Fuel cells are an entirely different approach to the production of electricity than traditional prime mover technologies. 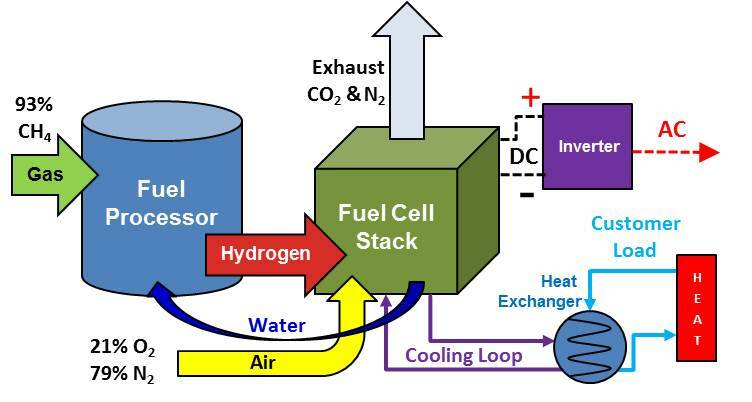 Fuel cell stacks are silent, produce no pollutants, have no moving parts, and have potential fuel efficiencies far beyond the most advanced reciprocating engine or gas turbine power generation systems. Fuel cell systems with their support ancillary pumps, blowers, and reformers maintain most of these advantages. 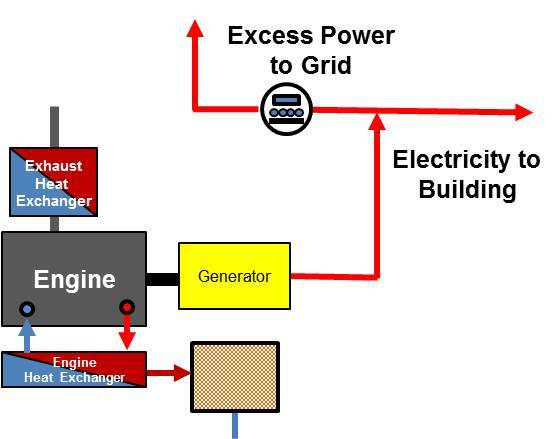 These systems incorporate a larger combustion turbine to turn a generator. 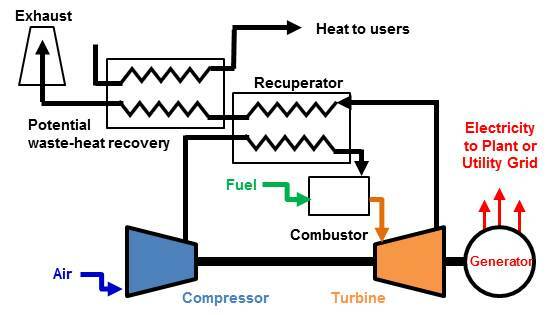 Recoverable heat can be used from the exhaust heat to produce additional steam or power. The packages come assembled for ease of installation. 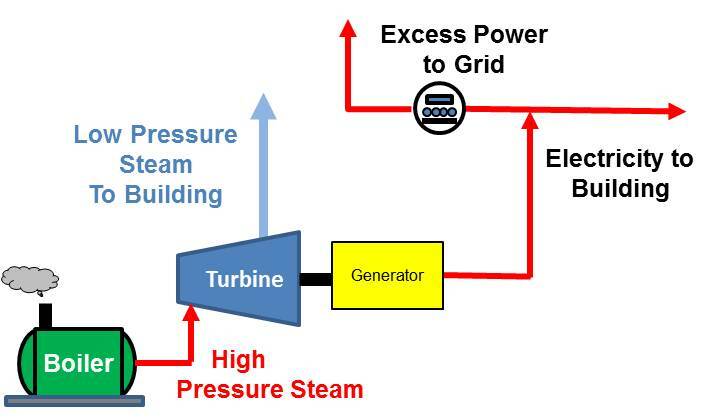 These systems incorporate large steam turbines to power a generator. Recoverable heat (low pressure steam) from the primary turbine cam be used for low pressure steam applications or produce cooling with a single effect absorption chiller. The packages come assembled for ease of installation. 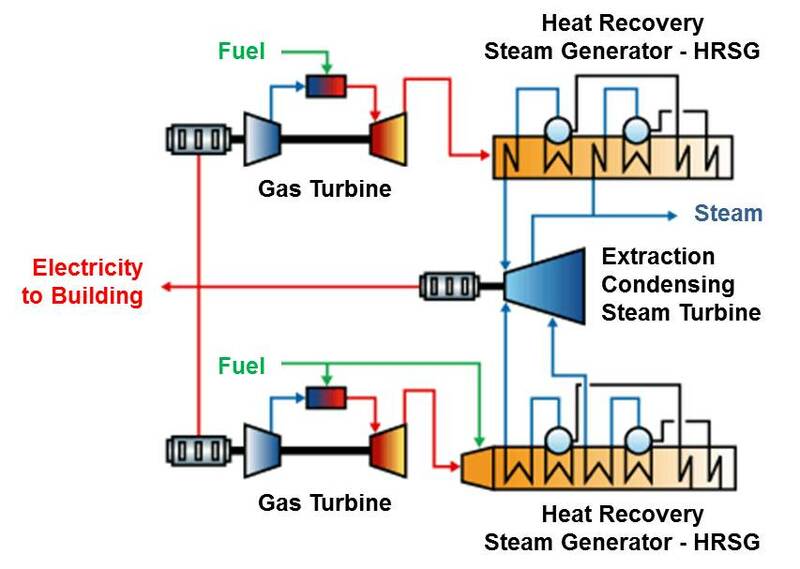 These systems incorporate combustion turbine and generator set with the turbine exhaust recovered through a a Heat Recovery Steam Generator (HRSG). The steam generated in the HRSG is then sent to an extraction turbine to power a generator. Low pressure steam from the extraction turbine can be used for low pressure steam applications. 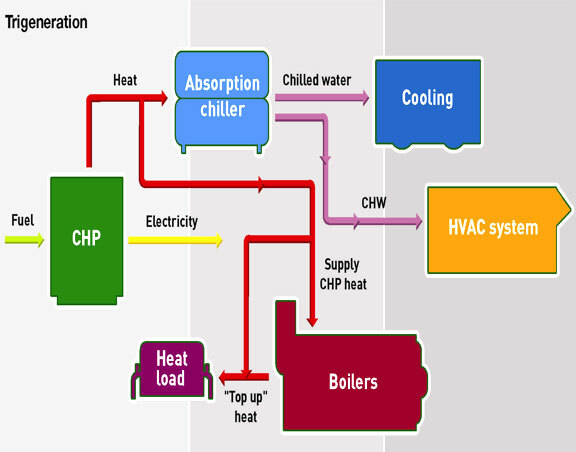 Although similar to large CHP systems, these small systems generate heat that is pumped through a heat exchanger and used for water heating or heating loads. The generator provides power for on-site consumption and may exceed actual facility use. 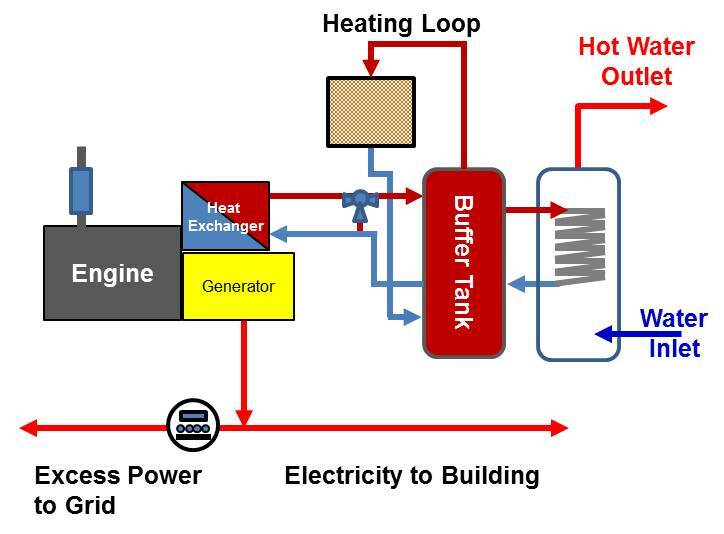 These typically large CHP systems incorporate power generation equipment, combined with heat recovery equipment that produces both cooling and heating for the building. The heating and cooling output may operate concurrently or alternately depending on the need and the system design.